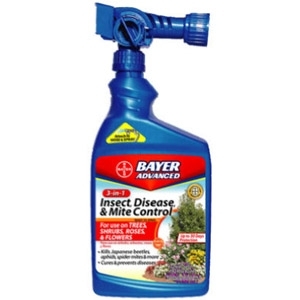 Bayer Advanced 3-in-1 Insect, Disease, & Mite Control 32oz. 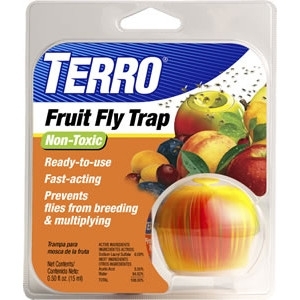 TERRO Fruit Fly Traps lure adult fruit flies into the trap using a non-toxic, food-based liquid lure. Once the flies enter the trap, they cannot escape to continue breeding and multiplying. And better yet, gone are the days of unsightly traps - this attractive, apple-shaped trap looks right at home in any kitchen. 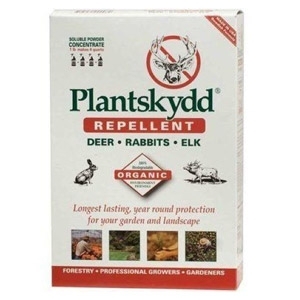 100% Organic — Safe for use in protecting flowers, ornamentals, seedlings, shrubs, trees, as well as fruit, vegetables, and other food crops against browse damage from: Deer, Rabbits, Elk, and Moose. Lasts up to 3-4 months during the growing season and up to 6 months during the winter. Repels by scent; yet is non-offensive to humans.1 lb. box. 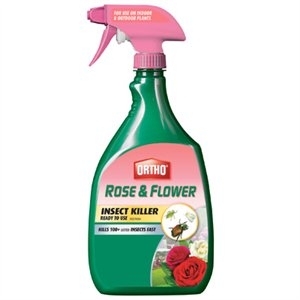 Ortho Rose & Flower Insect Killer RTU, 24 fl oz. Ortho Rose & Flower Killer Ready to Use. Kills 100+ listed insects fast. Dual action killer: Kills by contact and provides systemic protection listed. Up to 4 week protection. 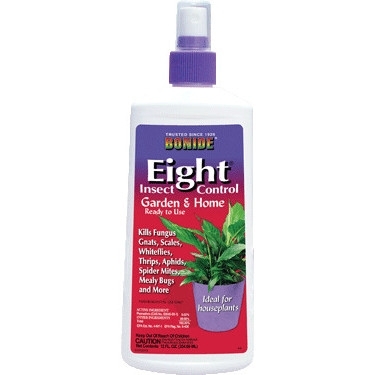 For use on indoor and outdoor plants. 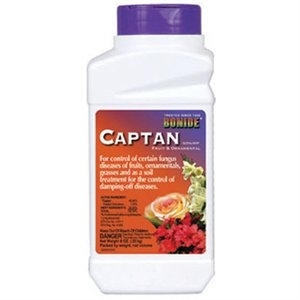 Captan Multi-Purpose Fungicide, 8 oz. 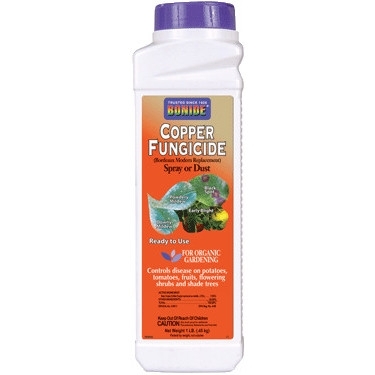 Copper Dust Fungicide, 1 lb. For controlling early and late blight, leaf spots, downy mildew, anthracnose and certain other fungal diseases on various vegetables, flowers, ornamentals and fruits. Won’t burn plants. Eight Insect Control RTU, 12 fl. oz. Permethrin 0.02% Controls over 100 different insect pests on vegetables, fruits, roses, flowers, lawns, shrubs, trees, over 60 varieties of ornamentals, and house plants. No odor, water based, indoor/outdoor. 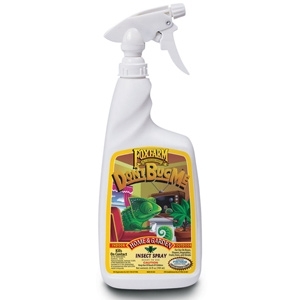 Houseplant Insect Spray No odor, non-staining, all purpose insecticide. 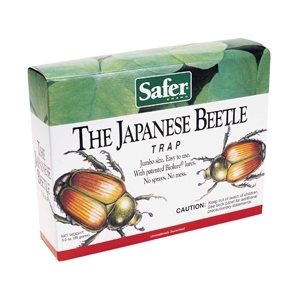 Kills over 100 types of insect pests on over 60 varieties of ornamentals and houseplants. Great for container gardens too.